First class casino games and sportsbook! Mr. Win Casino, the brainchild of Swedish industry veterans, went online in April 2017 on the Everymatrix Ltd. platform, equipped with licenses from Curacao, MGA Malta and the UKGC. With a mobile optimized website, they offered right from the start a comprehensive betting and gaming site with Casino, Live Casino, Sports and Live Sports. The Casino section features 700+ games from well-known providers such as 1×2 Gaming, Betsoft, IGT, Leander Games, Microgaming, Mr. Slotty, Multislot, Net Entertainment, NYX Gaming, OMI, Play’n GO and Playson. A vast choice of Live Casino tables is powered by Authentic Gaming, Evolution Gaming, Ezugi, Netent Live and XPRO Gaming. Wagering is 35x FS winnings within five days with a €5 maximum bet and potential withdrawals capped at €50 subject to the bonus terms and conditions. Minimum deposit to receive the bonus and Free Spins is €10.00. Wagering requirements are 35x deposit + bonus within seven days and 35x FS winnings within five days. Maximum bet while wagering is €5.00 with most slots contributing 100%, while table and live games have reduced wagering or are completely prohibited. Players can see if a game is excluded when their account balance is not visible in a specific game while having an active bonus. Mr. Win bonus terms and conditions apply. 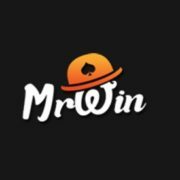 Mr. Win’s promotion page is nicely filled with offers for casino and sports fans. A weekly reload bonus is available for casino games, while a €10 sports bonus can be claimed by betting enthusiasts. Additionally, the page holds a monthly calendar which highlights in orange the days with active promotions. These offers include Free Spins and deposit bonuses. The loyalty program is centered on Casino Loyalty Points (CLP) which can be exchanged for cash. At Mr Win, all players will always be part of the loyalty program, no matter how often they play at the casino. All games have a different CLP rate to clarify how points are earned for every €1 (or equivalent currency) wagered. As an example, one of the most popular video slots, Gonzo’s Quest, earns Casino Points at a rate of 20%. This means that for every €10 wagered, players will earn 2 Casino Points. As 100 Casino points = €1 cashback, this is equal to 0.2% cashback on casino bets. Operating on the Everymatrix platform, which is one of the largest in the industry, is almost a guarantee for a good game choice as white label casinos like Mr Win can choose from a long list of established, new or upcoming providers. 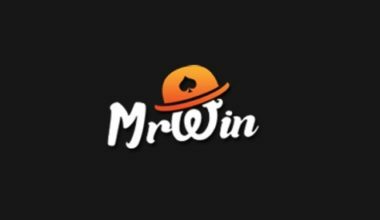 The team at Mr Win made some good selections and added quite a range of providers at the start mixing mainstream suppliers like Netent, Microgaming, NextGen, NYX Interactive, Play’n GO with new or upcoming companies such as 1×2 Gaming, iGaming2Go, Mr. Slotty, Multislot and Playson. The Live Casino section will satisfy and live tables fan with over 90 tables from Authentic Gaming, Evolution Gaming, Ezugi, Netent Live and Xpro Gaming. Another advantage of operating on the Everymatrix platform is the vast choice of currencies and payment methods a white label casino like Mr Win can offers its players. At Mr. Win, players can register their account in CNY, CZK, DKK, EURO, GBP, KRW, NOK, PLN, RON, RUB, SEK, USD and ZAR and can use the most common payment methods for their deposits and withdrawals. 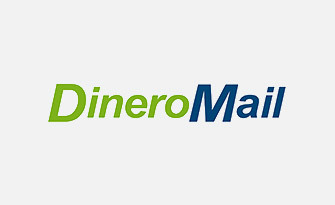 Currently, the choices are Master Card, Visa, DineroMail, Ecopayz, Neteller, Skrill, Trustly, Paysafe Card and Bank Transfer. Customer support is provided via Email or Live Chat, however, not 24/7 and not via phone. The website is at press time in English, Finnish, Norwegian, Spanish and Swedish languages. To promote responsible gambling, Mr Win accepts only players who are of legal age based on their nationality and country of residence. Further, in a separate section in the account settings players can make use of an array of options to keep their gaming under control. If gambling has become a real problem, players at Mr. Win can contact their support to execute a Self-Exclusion which would irreversibly block the account for 6 to 60 months. 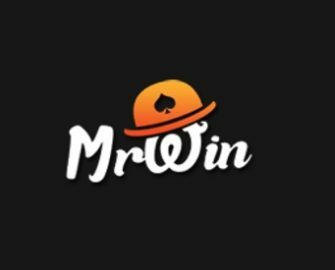 Chapeau Mr Win, the casino is indeed a welcome addition to the ever-increasing number of online casinos as it has an easy-to-use, clutter-free website with a good game choice, MGA license, decent promotions and acceptable level of customer support. The lack of 24/7 Live Chat is the reason for the current lower rating which we will update should this change at any time in the future.